 The fourth annual meeting of the University of California Water Security and Sustainability Research Initiative and the California Institute for Water Resources, will be held October 24-26, 2018. This year the meeting to stakeholders and water decision-makers, sharing research, outreach and partnerships through a three-day interactive meeting, conveniently located in central Sacramento. 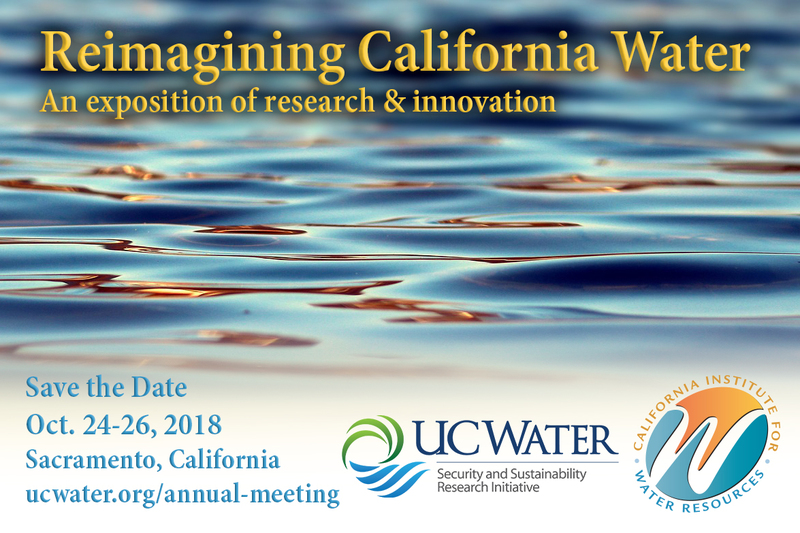 UC Water and the California Institute for Water Resources are teaming up to bring together the research and outreach of the University of California to bear on "Reimagining California Water." Parking: Hosted by UC Water. Pick up a voucher at our .registration table. Do not leave valuables in your car. Our oral presentations are by invitation, but everyone is welcome to submit a poster. It's a great opportunity for networking and in-depth discussions of your research. You will also be asked to give a 30-60 second introduction of your work to the entire group before the poster presentation. Finally, all students, post-docs and early career staff are entered into the UC Water poster competition. Judges will use this UC Water Annual Meeting poster presentation competition rubric to review your work. Register to give a poster by including the title and co-authors in your eventbrite registration. Any edits can be sent to Leigh. Prepare your scientific poster with an interdisciplinary audience in mind. You have 3.5'x7' (~1x2m) for your space. If you need more room, please let Leigh know as we can accommodate some larger posters. Use good design principles, keep text concise, make graphics large enough, and make the relevant political context connections clear. You must print your own poster this year. In preparation for AGU, you may want to review their poster requirements and recommendations. You will have 30-60 seconds to share your work to the wider group. This is meant to encourage attendees to visit you at your poster during the poster reception. Also prepare a 2-minute elevator pitch (it's a slow elevator) in which you introduce yourself, provide the relevant findings, and broader implications. What problem are you solving? If your audience is interested, let them ask follow-up questions.